Data is the lifeblood of the twenty first century economy. It fuels innovation in the private and public sector and is essential to every organisation and businesses effectiveness and growth. Ensuring the cross-border flow of data is one of the top priorities of the transatlantic business community in the ongoing Brexit negotiations. Without it, there could be significant and costly disruptions to transatlantic businesses operating in the UK. 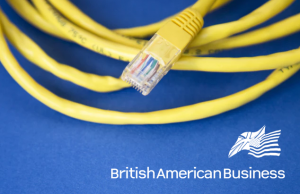 Many of the US businesses that BAB represent have set up European Headquarters in the UK on the basis that they can move and access data without hindrance across the UK and EU. Continuing that free flow of data between them is highly important for business operations and consumers. Both the EU and UK recognise this and we welcome the efforts from both sides to find a solution to this issue, including most recently, the UK publishing its position paper on a future Data Protection Partnership between the UK and EU. It is clear that a mechanism, which does not currently exist, will need to be created to allow for continued free flow of data and avoid at all costs a divergence in standards which would create a rupture in the free flow of data. Outstanding issues include what role the Information Commissioners (ICO) office in the UK will have in the EU after the UK has left the decision making bodies of the EU and what mechanism will be responsible for handling infringements of data standards when the UK has left EU legal jurisdiction. In addition, any solution needs to maintain the UK’s position within the EU-US Privacy Shield Agreement. The transatlantic trade and investment triangle between the US-UK-EU relies on the uninhibited flow of data between aligned data protection regimes eliminating the need to adhere to multiple standards. We continue to support the work of both the UK and EU in finding a new agreement that maintains the free flow of data and hope one can be found quickly to alleviate any concern businesses have.